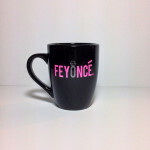 An Etsy shop replaces the ‘B’ in Beyoncé with an ‘F’, to sell “Feyoncé” mugs. This clever play on words has an obvious correlation to the famous pop singer, which was meant to attract members of the “BeeHive”, Beyoncé’s core group of dedicated fans, who are engaged to be married. Some of the mugs that were up for sale even replicated the signature colors of Beyoncé’s self titled latest album, which were pink and black. 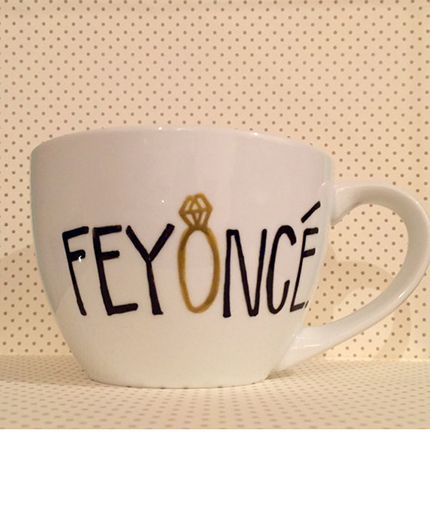 Is there a problem with changing the letters of the word fiancé to match the name of one of the biggest pop stars of our time, Beyoncé, placing it on mugs and selling them on Etsy? The issue here is that using a celebrity’s name or likeness without their permission to sell products is a violation of the law. In this case the word Feyoncé was so similar to the name Beyoncé that one can imagine that the mugs had some affiliation to the pop star. This creates a likelihood of confusion as to the origin of the item. The issue of appropriating someone’s name, image, and likeness invokes the right of publicity law, as well as trademark law. 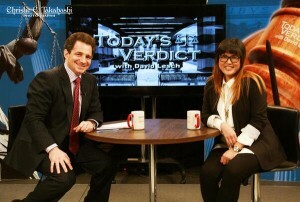 The purpose of the right of publicity law is to prevent false or unauthorized endorsements. Trademark protection extends to a symbol, name, or logo that is used to inform the public of the source of the product. Trademark and publicity rights seek to prevent others from reaping unjust rewards by appropriation of the mark or celebrity’s fame. Both laws are similar in that they are used to control the commercial use of a business’s name or person’s identity. Since commercial use is where an infringement action lies, what constitutes commercial use? Although a broad term, commercial use is any use where income is derived directly or indirectly from such use. On the other hand, an infringement would not occur if the use was merely communicative in nature. Communicative use is fully protected by the 1st Amendment as free speech. The medium used would determine whether the use was commercial or communicative. For example, the unpermitted use of a person’s identity on a product such as a coffee mug will usually be dubbed “commercial” and require a license. However, the unpermitted use of a person’s identity in a magazine, or newspaper may be immune. In this case, the use of Beyoncé’s name and ‘likeness’ from a Feyoncé mug was clearly commercial, leading her to issue a cease and desist letter against the shop. Beyoncé has an uphill battle here. There are a lot more Etsy shop owners who are banking off of her name.